At the 11th hour of the 11th day of November in 1918, the First World War – ‘The War to End All Wars’ – ended; this day is known as Armistice Day. 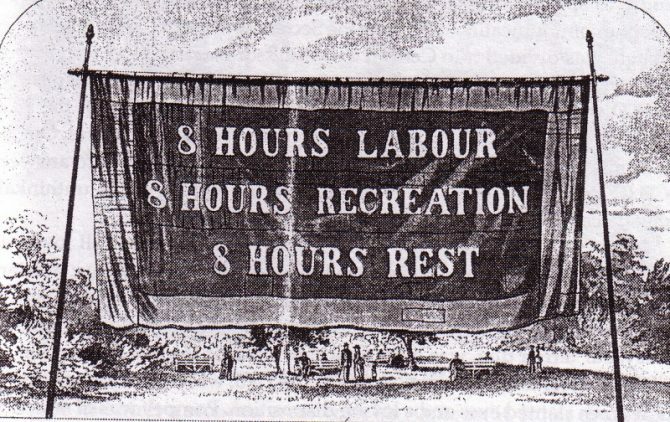 The 11th of November 2018 marks the 100th anniversary of this day. 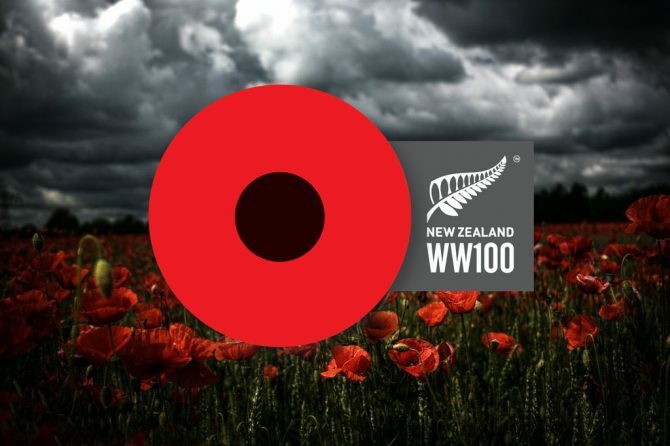 18,200 New Zealanders died and 41,300 were wounded. Let’s take this opportunity to remember the millions of people worldwide who lost their lives in the First World War, and remember how horrible this event was — in the hope that such large-scale war never happens again. World War One was the first modern war that made use of modern advancements in technology and machinery. This led to wholesale destruction across greater Europe, Northern Africa, and areas of the Middle East that would sow the seeds for not only World War Two, but the years of conflict in various parts of the world to come. Working class people from all around the world were conscripted to fight in World War One, in what was almost certainly an invitation to go die on foreign soil for an empire. 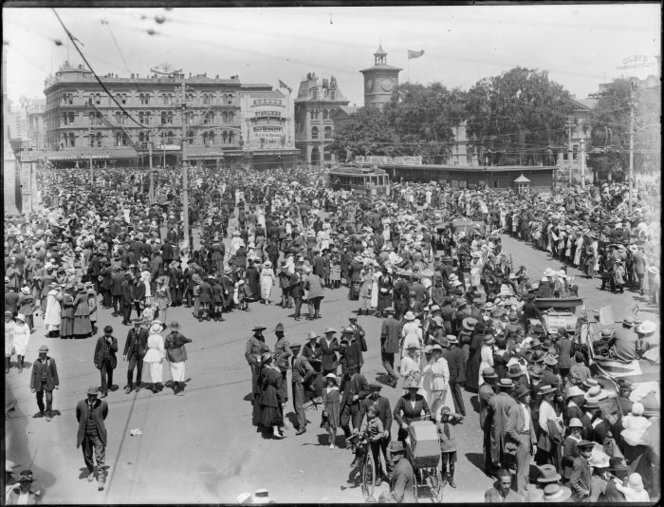 In remembering the 100th anniversary of the end of The Great War, let’s remember the human cost of war, not just for the soldiers involved, but for entire communities, cities, and the generations that came after. So at 11 a.m., on the 11th day, 11th month, let’s not glorify this tragedy, but remember the lives and generations lost to it. At the Field of Remembrance in Cranmer Square, a field of white crosses marks the centenary of the Great War. 4389 crosses and one Star of David depict the heavy losses suffered by Canterbury families. You can see a full list of events across the country at the WW100 Armistice Day events website. Our digitised First World War resources includes diaries, letters, booklets, and memorabilia. 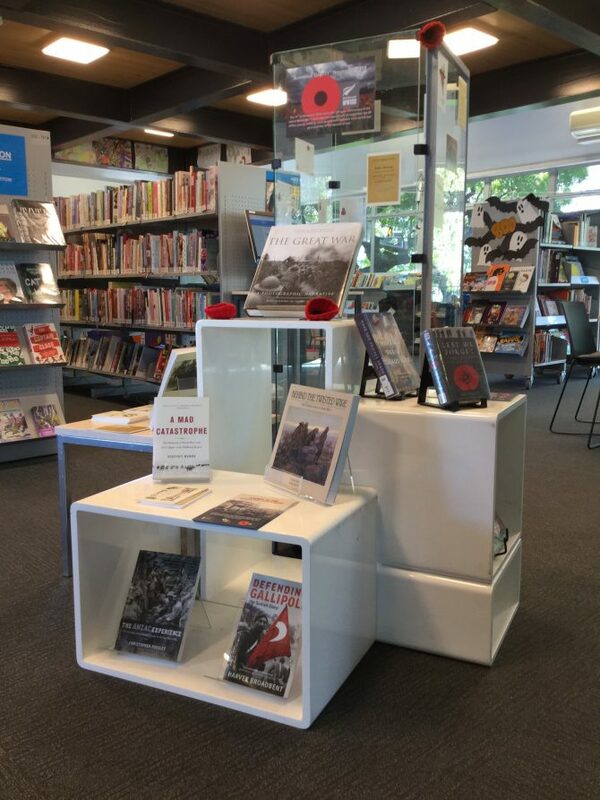 Just some of the resources on WW1 that Christchurch City Libraries has to offer on display at Spreydon Library. 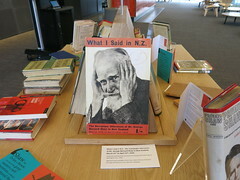 The library also has heaps of wonderful books on World War 1 to borrow. Remembrance Day: An Article on Remembrance Day, the British Public Holiday that has its origins in the original Armistice Day celebration in 1919. World War 1: A good comprehensive overview of World War 1 and its background. Britannica Kids A great resource to help kids with homework and other school work. Remembrance Day: An Article on Remembrance day designed for kids. World Book Kids Online encyclopedia with short and easy to understand articles. 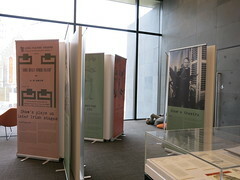 Armistice Day is the last day of the Canterbury Museum exhibition Canterbury and World War One: Lives Lost, Lives Changed. Canterbury Museum has launched an online version Canterbury and World War One: Lives Lost, Lives Changed.Canterbury Museum Acting Director Jennifer Storer says this will give visitors ongoing digital access to content and stories after the physical exhibition closes on Armistice Day, 11 November. This is an interesting and easy to understand infographic that aims to prevent key information about WW1 in regards to its effect on New Zealand. Four people seated in leather chairs on the stage. From left to right, Lloyd Jones, Yaba Badoe, Juno Dawson, and Nick Barley. Nick Barley – Director of the Edinburgh International Book Festival – introduces the topic by sharing a story of how he came to commission authors to write essays on what freedom means to them. The essence of this captured in his state that the purpose of this is “to think about not only a word, freedom… and why literary conversations matter”. From here, the three authors on stage with Barley speak in turn about what freedom means to them. Yaba Badoe, Lloyd Jones, and Juno Dawson. Image supplied. Yaba Badoe spoke first. She spoke about a kind of national freedom drawing on the independence of Ghana as her example. But within this, she discussed the challenges that such national freedom brings. She spoke about how there were all these grand ideas as to what a new Ghana was going to look like and how independence in Ghana would lead to the creation of a “heaven on Earth” free from British colonial rule. However, in this instance, reality did no meet the expectations and she warned about the challenges associated with dreams of freedom and the reality of these desires. To her, freedom of speech does not protect people from the fallout or consequences of the “stupid things” that they say, and that people have a right to react. She drew on her own personal experience with transphobic remarks in regards to her transitioning in the public eye. The issue here was with the way people expressed surprise or derision in the way she did not accept such abuse but instead chose to protect herself through various means leading to some people claiming that she, herself, was against free speech. This is of course not the case, simply that people need to be aware that people should expect consequences for the things that they say. “Freedoms can be rolled back… often hard won, and can be taken away”. Most notably, the ongoing issues with reproductive rights in the United States is an issue where this can be seen. “When you say freedom, I just see a pile of bodies with an American flag waving on top”. “The freedom to do the wrong thing is not a freedom worth having”. Jones provided a timely and skeptical engagement with a concept so often taken for granted as being unequivocally positive. Following this, there was a brief conversation discussing the way that freedom as a concept is present within the authors’ works. Barley, Badoe, Dawson, and Jones all had dynamic personalities that bounced off each other in an entertaining manner. Often humorously as the four speakers engaged in conversation with each other. It was an entertaining and informative event with three different and, at times, contradictory ideas pertaining to freedom discussed. All the while, the conversation was very well facilitated by the eloquent Nick Barley. 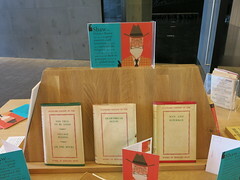 A pleasure of an event that provided much to think about within literature and more. This quote highlights the central theme of belonging and the dangers of not belonging that were present in both Badoe’s book, but also the conversation on the day. Badoe appeared in conversation with the insightful Sionainn Byrnes who is a PhD candidate in the English Department at the University of Canterbury. Byrnes’ expertise in the area of magical realism – the genre of Badoe’s writing – was an amazing addition to the conversation as she facilitated the conversation superbly. One of the first questions asked by Byrnes was about the subject of origins. This is a central theme of the book and one that is highlighted in the opening passages that was read at the beginning of the talk. Badoe discussed the way that Sante’s – the main character in the book – origin is related to her sense of self, her feelings of being a stranger, and that a large part of the narrative of the story pertains to Sante’s quest to understand her origins to understand her reoccurring dreams. A big part of this narrative theme surrounding origin and belonging is the way in which the book positions the struggles of refugees and migrants as all the main characters fit into one of these categories. Badoe expands from this narrative theme to discuss the issue of migration in the contemporary world. Badoe herself was born in Ghana, educated in Britain, and in her own words, spends a lot of her life “going back and forth between Europe and Ghana”. Here, the connection between her own life and experience as an African migrant is deeply connected to the narrative of her work. She also outlined an interesting position on migration that posited that “the whole world is made of migrants”; and understanding of migration that is particularly pertinent in the midst of the migration crisis in various places around the world. The narrative of her book and this conversation is a very poignant narrative, reminding its readers that migrants are people deserving of respect and integrity. At the end of the talk there was a brief discussion of Badoe’s film, The Witches of Gambaga, that was screened the day before as part of WORD Christchurch Festival. This short conversation explored the continued belief of witchcraft in regions of Northern Ghana. In this instance, Badoe and Byrnes briefly discusses the challenges of respecting deeply held beliefs and superstitious while challenging the socio-economic systems that underpin them; in the case patriarchal values appear to underpin the continued belief in witchcraft in Ghana. Gambaga is a town in northern Ghana, formerly capital of the Northern Region of Ghana. It also serves as a sanctuary for women accused of witchcraft in greater Ghana. Witches of Gambaga is a documentary film, directed by Yaba Badoe, that tells the story of the women who have been condemned to live their lives in the poverty of the witches’ camp in Gambaga. The film follows these women and explores how their lives have been destroyed by accusations of witchcraft. Badoe, in her running commentary throughout the film, does mention that superstitions have a role in the accusations of, and continued belief in, witchcraft. However, she examines the prevalence of witchcraft in Ghana through a gendered lens that attempts to explain why it is exclusively women who end up living in the witches’ camp in Gambaga. One of the particularly interesting ways she does this is exploring the relationship that the Chief of Gambaga – the Gambaran – has with the woman accused of witchcraft. Here, the women have to pay the Gambaran for sanctuary, work for him on his property, and when they have proven that are no longer a ‘witch’ they have pay him to return home. In this instance, there is an obvious benefit for him to perpetuate the belief in witchcraft within the superstitious communities. Furthermore, Badoe also explores how all women in the witches’ camp are either elderly or middle aged – with the youngest women in the camp being in her early 30s – reinforcing certain ideas pertaining to women’s value and youthfulness. Through the way that Badoe engaged with the issue of witchcraft in Ghana, it is easy to see how the tradition is maintained through patriarchal beliefs and systems. The film is striking in its simplicity, letting the situations and stories of the women who the film follows speak for themselves with Badoe offering further explanation when required. This allows the film to overcome the technical limitations of its creation and lead to a fantastically woven narrative explaining the plight of the women concerned. The film was a surprisingly emotional affair as it humanises the suffering caused by patriarchal superstitions. Over 3,000 citizens have had their lives ruined and families stripped away from them on the basis of how a chicken dies; the main “trial by ordeal” used to determine the whether or not the accused is a witch. I found myself almost tearing up at certain instances surrounding discussions of the women’s families that they were forced to leave behind. The film does a great job in highlighting how damaging patriarchal beliefs are, how they still linger in some parts of the world, and how they are causing extreme harm to the communities involved. For this alone, Yaba Badoe’s film is to be commended for engaging with this subject and telling the stories of these women. 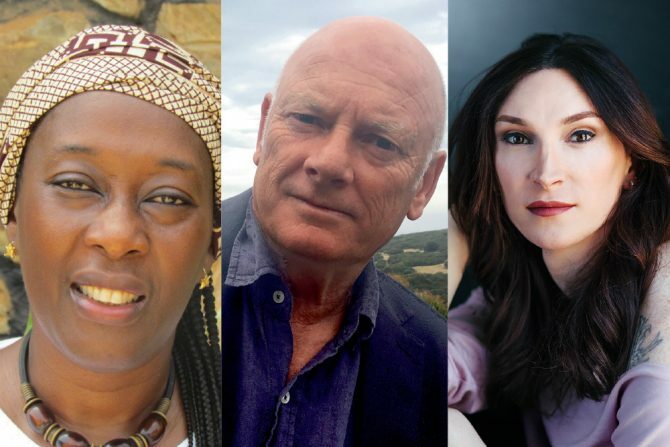 Edinburgh Festival director Nick Barley speaks to three of the international writers from The Freedom Papers collection – Yaba Badoe, Lloyd Jones and Juno Dawson – about what freedom means to them. “America has been very, very lucky so far when it comes to fascistic political movements”. From here, the magnitude of the conversation to follow is set. Neiwert was a composed and confident speaker who spoke with the authority that his years of research has given him on the subject. Thomas, as interviewer, did a fantastic job allowing Neiwert space to highlight his obvious expertise on the topic. Together they dived into the depths of the horrifying reality and violence of the extremist right in American politics. The horrifying elements of such a movement were explicitly put forward for all to understand as Neiwert described a scene in which a counter-protester was shot by an Alt-Right supporter 10 metres in front of him – a harrowing example of the violence the new American extremist right is capable of. Neiwert described Alt-America – the world in which the new extremist right in America appear to live in – as an “epistemological bubble comprised of conspiracy theories, alternative facts, and outright fabrications”. This world, is of course curated and manufactured by various influencers and conspiracy theorist of the far right – including the notorious Fox News and the infamous Alex Jones. Most chilling of all was the conversation about domestic terrorism in the USA. Here, Neiwert spoke of extremist far right elements in America that have done unspeakable violent acts (such as the one described above). As he spoke about the race based crimes committed by Dylann Roof in a Charleston church two days after Donald Trump announced his presidential candidacy, chills ran down my spine at the horror of the reality of it all. This was of course, just one such example. 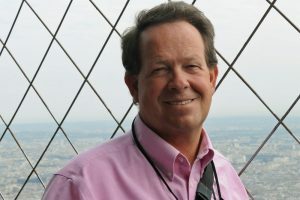 Something that Neiwert did very well – which sets him apart from over commentators attempting to understand the rise of the Alt-Right as a political phenomenon – is the manner through which he historicises the fascistic tendencies that define the Alt-Right as they have appeared throughout American history. He places a particular emphasis on the conspiratorial militia movement of the 1990s and how a lot of the ideas of the Alt-Right can be directly traced back to this. “This isn’t an overnight thing… this has been building for a very long time”. Given America’s history of flirting with fascism, from slavery, to the KKK, and segregation, it is easy to see his reasoning. He then went on to discuss how the future is uncertain and that a lot could depend on the 2020 election in America. Not just the outcome itself, but if Trump is defeated in the election, what kind of reaction should we expect from his fan base. They have proven in the past that they are capable of violence. At the end of the talk the conversation was opened up to the audience for questions. The question that got the most striking response was a question on gender and the Alt-Right. Here, Neiwert explains that the Alt-Right is a fundamentally misogynistic ideology and that a central aspect of their Alt-America belief is that American values are being ruined by women; most notably, feminist women; this continues with the conspiratorial theme of Alt-America. Neiwert is an obviously intelligent man who has braved the depths of far-right politics as a liberal and lived to tell the tale. As harrowing as the topic could be, it was equally informative and explained well the rise of this new radical political movement. Neiwert was a fantastic speaker, and Thomas facilitated the conversation exceptionally well. This is of course, a chilling subject. Something that is on the minds of many and something that frightens many; understandably so. When Paul Thomas introduced the talk by opening with that quote about America’s luck with fascism up until this point in history he was doing so to highlight the gravity of this talk; is America’s luck about to run out? 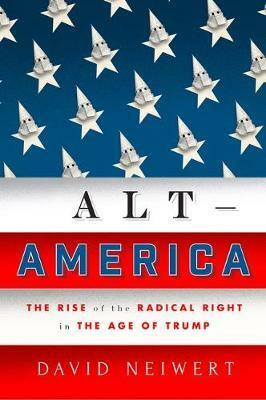 Neiwert’s book, Alt-America, is a very well written account of the re-emergence of right wing extremism in America. Through tracing the ideological blueprints of the self-proclaimed ‘Alt-Right’ back to the American Patriot Militia Movements of the 1990s, its mainstream manifestation in the backlash to Obama’s election; most notably in the Tea Party movement that arose, and through controversial conspiratorial politics, he successfully explains the emergence of what was to many a seemingly overnight political phenomenon. 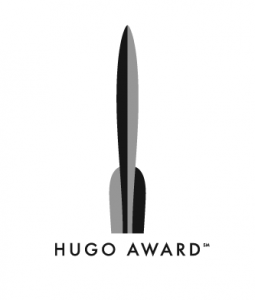 The World Science Fiction Convention* that was hosting the Hugo Award ceremony has finished, the results are in and this year’s Hugo Award winners have been announced. for women in science fiction and fantasy; a genre, that it is fair to say, has been dominated historically by men. 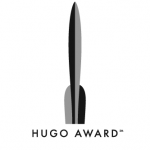 So without further ado, here are the winners of this year’s Hugo Awards. This year’s Hugo Award for best novel goes to Book three of The Broken Earth Trilogy by N.K. Jemisin. Books one and two, The Fifth Season and The Obelisk Gate respectively, are both previous winners of the award. This also makes N.K. 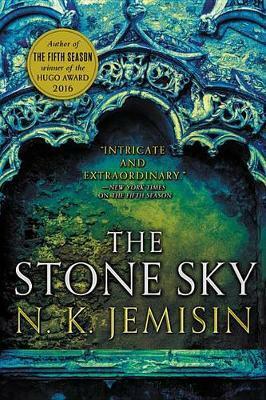 Jemisin the first author to win three Hugo Awards for best novel in a row as well as making The Broken Earth the only trilogy in which all three novels are best novel winners (the closest to doing so previously was Kim Stanley Robinson‘s Mars Trilogy with two wins and a finalist position). Best Related Work: No Time to Spare, By Ursula Le Guin. Essentially, this is the reward for best piece of non-fiction related to the world of science fiction and fantasy and understandably, recently deceased Ursula Le Guin, now six time winner of the Hugo Award and Science Fiction royalty, is the winner of this category. ‘No Time to Spare’ is a collection of Le Guin’s musings on various subjects from the mundane to the philosophical. The best graphic novel of the year is the sequel to 2017’s winner: ‘Monstress Vol. 2’. 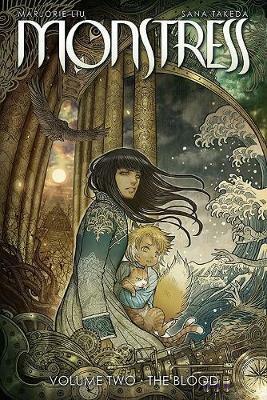 Monstress is an apocalyptic steampunk fable notable for its exceptional artwork (with artist Sana Takeda also winning this year’s award for Best Professional Artist) and interesting world building. Best Dramatic Presentation, Long Form: Wonder Woman, screenplay by Allan Heinberg, story by Zack Snyder & Allan Heinberg and Jason Fuchs, directed by Patty Jenkins (DC Films / Warner Brothers). What essentially amounts to the award for best film, Wonder Woman takes the cake for its adaptation of the DC Comic hero in a film that captures the essence of this year’s Hugo Awards winners. Don’t forget to check out previous year’s winners for best novel, best related work, graphic story, novella, and short story. *Worldcon comes to New Zealand in 2020, with Wellington having hosting duties. 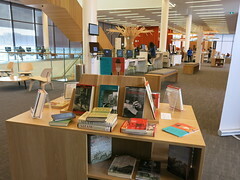 The WORD Festival is arriving in Christchurch (29 August to 2 September) in a celebration of all things literary. There will be something for everyone with events ranging from the silly to the profound with over 120 authors, and close to 100 events across 30 venues. Below is just a tantalising taste of what this wonderful event has to offer, so feel free to explore the WORD Christchurch Festival programme in full. So pull up a chair, get yourself a drink, and get ready to explore the wonderful world of the WORD. Brannavan Gnanalingam, Pip Adam, and Rajorshi Chakraborti. Image supplied. There will be certain pieces of fiction that hold special places in the hearts of literature fans, and one of the reasons could be for political reasons. 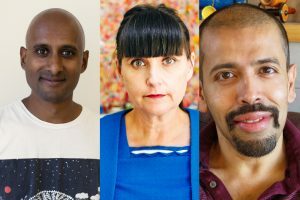 Join Ockham award winning author Pip Adam, with fellow authors Rajorshi Chakraborti, and Brannavan Gnanalingam in conversation with Julie Hill as they discuss the very topic of the politics of fiction looking at the way fiction can be more than mere entertainment, but can serve a role in helping create empathy and change perspectives. Magical Realism is a beautiful genre of literature with narratives that can displace time and space or use magic as a metaphorical device through which to tell fantastic story rich in cultural relevance. 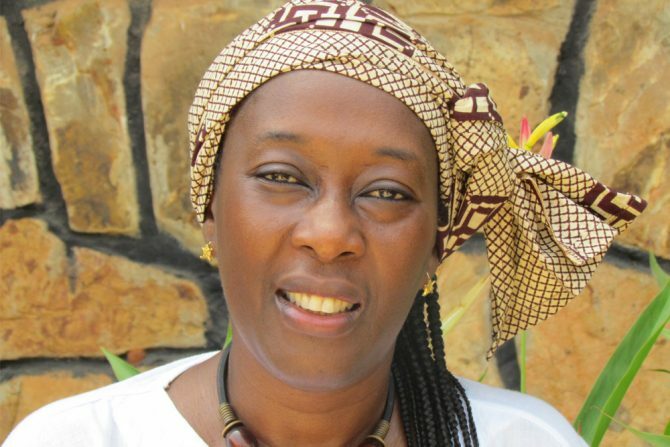 A Jigsaw of Fire and Stars author Yaba Badoe is a great international author of the genre of magical realism in addition to being an accomplished filmmaker and will be in discussion with University of Canterbury PhD candidate Sionainn Byrnes. This talk promises to explore issues surrounding women in Africa in addition to magical realist fiction itself. A topic that should be at the heart of all Christchurch locals. Following the tragedy that was the Christchurch Earthquakes, everyone – bar none – has had an opinion on how the rebuild has progressed and what should have been done. Laurie Winkless, author of Science and the City, will provide specialised knowledge on the subject that is well informed through studies of cities from all over the world and explore the scientific considerations of cities. A glorious event for young and old. The New Regent Street Pop-Up Festival is my favourite event from Word Festival’s prior, and it’s free! This event will bring world class talent to New Regent Street in multiple pop-up events as the street is turned into a festival celebrating the literary form. The New Regent Street Pop-Up Festival will make you wish New Regent street was like this everyday. American journalist David Neiwert will be talking about his book Alt-America: The Rise of the Radical Right in the Time of Trump, in an attempt to explain what is actually happening in the American political landscape at present. What promises to be a great and informative event, David Neiwert will historicise the rise of this seemingly overnight political phenomena to the 1990s as he discusses his work in tracking and following the far-right in American politics for multiple decades. The Science Fiction Author of Story of Your Life, which was adapted into the film Arrival, Ted Chiang will be in conversation with science fiction and fantasy author Karen Healey. 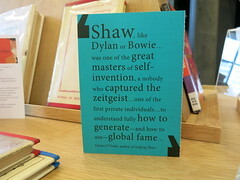 Expect and interesting and philosophical conversation from this thought provoking and awarding winning author. 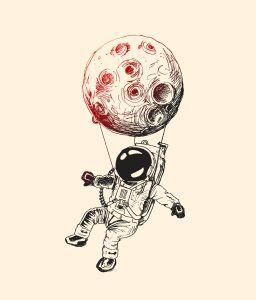 The winners of the Hugo Awards will be announced next month and with the Nebula Award winners having been announced in May (two of the biggest awards in science fiction), let’s take this moment in between to think about the future in literature and what it actually means to write and think about the future. When we think about fiction and the future, there are two sub-genres that immediately spring to mind: dystopian and utopian. Most people will be familiar with dystopia; arguably the most popular form of science-fiction that there is. From Atwood’s The Handmaid’s Tale, The Walking Dead, or the classics of Nineteen Eighty-Four, Brave New World, and Logan’s Run, the idea of dystopia appear to be firmly entrenched in Western cultures’ collective imaginary. We all have different ideas of what a dystopia might look like, but put simply, it is an imagining of an unpleasant future that could occur through an apocalyptic event, the rise of widespread tyranny, or simply the break down of civil society. The counterpoint to this bleak storytelling of a world gone to the dogs is utopian fiction. Many people will, as with dystopia, have different ideas of what utopia looks like. So, in this instance I am going to use the pragmatic definition of utopia put forward by Hugo and Nebula award winning author Kim Stanley Robinson: utopia is imagining the best possible outcome given where we are now. What I like about this understanding of utopia is that it doesn’t mystify utopia into religious sentimentality but places it firmly into the realm of possibility. Take Robinison’s novel New York 2140 (that has been nominated for the 2018 Hugo Award for best novel) for example. Here we experience a New York that as endeavoured to survive and re-create itself in the wake of catastrophic climate change as the innovation of adaptability of humanity leads to a future despite of the crisis it found itself in. Robinson’s Nebula award winning novel 2312 also highlights the redeemable aspects of humankind as they work together to try alleviate humanity’s suffering and begin to recreate Earth into something resembling its former self. Utopian fiction is not about the absence of conflict – no one would want to read or watch a story with no conflict – but the conflict is about the actions taken to prevent the fall into dystopia. Isaac Asimov‘s Foundation series is a fantastic example of such utopian thinking as the protagonists work to prevent a galaxy wide collapse into unprecedented galactic barbarism. Here, the utopian thinking is about creating a future for humankind that is free of insecurity and suffering. Other examples of utopian fiction include Ursula Le Guin‘s The Dispossesed and Arthur C. Clarke‘s Childhood’s End. So take a moment, and read about the future. Not the future in which everything is awful and the only thing humanity can hope for is survival, but a future in which humanity has a chance to thrive and flourish as it overcomes all the obstacles that could limit it from having a meaningful future existence. And you might want to try the best novel finalists for this year’s Hugo Awards and the winners of this year’s Nebula Awards. The 2018 FIFA World Cup is Here! The biggest sporting event on the planet is here: the FIFA World Cup. The 31 best teams in the world and Australia will all be meeting in the heat of the Russian summer to try and claim their status as world champions. There will be scandal, drama, excitement, passion, and given that the tournament is being played in Russia, probably hooliganism. So let’s have a look an all too brief look at this event that unites the world, albeit for the briefest of moments.. The World Cup is an event fill with drama. Iconic images that define tournaments. Nations rising a falling with their teams. Think the image of David Luiz’s in tears following Brazil’s humiliating semi-final defeat to Germany in 2014. Andres Iniesta ripping his shirt off to reveal the message “Dani Jarque siempre con nosotros” (Dani Jarque always with us) in honour of his dead friend and former teammate as he scored Spain’s winning goal in 2010. Zinedine Zidane’s head meeting Materazzi’s chest as France’s hopes and dreams disappear into a moment of madness in 2006. Ronaldo Luís Nazário de Lima in 2002. Zidane for the right reasons in 1998. 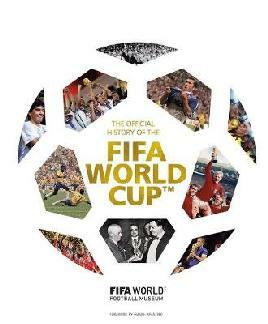 The list goes on, and everyone will have different memories and experiences of the World Cup; such is the beauty of this truly global event. Let’s start with a fairy-tale from the land of fairies, Bjork, Arnaldur Indriðason’s particular brand of dark, atmospheric crime fiction, a land that has a population less than greater Christchurch, the smallest nation ever to be represented at the World Cup finals; I am of course talking about Iceland. This team that is greater than the sum of its parts won hearts and imaginations as it reached the Quarter Finals of the 2016 European Championship (and comically knocked England out of the tournament and produced the greatest piece of sports commentary of all time). Neutral observers will be watching in hope that they can repeat this feat in Russia, if for no other reason, so their amazing fans get stay at the tournament for as long as possible. From fairy-tales to favourites: Germany and Brazil. The nations with the greatest footballing pedigrees. Germany, eight time finalists, four time winners; the most consistent team in World Cups. Brazil, seven time finalists, five time winners; the crown jewel of the footballing world. However, these two monoliths of international football contrast in their respective styles. Brazil is emblematic of the world’s passion for football. Not always the best team, but almost always has some of the best players in the world; this team is no different with the likes of Neymar being present. Brazil are typified by their flair, individual talent, and their “samba” style of football. However, this present Brazilian team cannot be classified within that vintage of Brazilian football as it has a larger emphasis on organisation and discipline; expect midfield ball winner Casemiro to be pivotal to a Brazilian success. Defending champions Germany are the world’s best team in terms of being a team. There are no obvious weak points in the starting 11, however, there are also no exceptionally standout players. With this said, expect Casemiro’s Real Madrid teammate in Toni Kroos to be controlling the flow of games from midfield with his vision and range of passing. What separates Germany out from the rest is the organisation and discipline, which is currently being set out by manager Joachim Löw, that lead Germany to success in 2014. Given that Germany and Brazil are on opposite sides of the draw, I will not at all be surprised to see a Germany vs. Brazil final. But we must not get too caught up in the fairy-tale and the favourites and remember this is a global event. Aotearoa New Zealand’s nearest neighbour, Australia, will be there attempting to draw on their efforts of 2006. Asian footballing giants in Japan and South Korea will be looking to impress upon the world the quality of football in Asia. Iran and Saudi Arabia will be representing the Middle East on the global stage. Egypt, Senegal, Morocco, Nigeria, and Tunisia will be trying to prove that Pelé‘s prediction of an African team becoming World Champions by the year 2000 wasn’t too far off. Argentina will be looking for a redemption following falling at the last hurdle in 2014 as Lionel Messi seeks to cement his status as one of the greatest ever by holding the World Cup aloft. Peru will be wanting to rightfully reclaim their status as South America’s other top team after a 20 year hiatus from football’s main event. Uruguay will be looking for their first world cup after 68 years without. Colombia will look to develop themselves as one of South America’s top teams and become the 4th team from that continent to lift the trophy (The current three being Brazil, Argentina, and Uruguay). England will be look to lay to rest a thousand demons as they try to reclaim the glory of 1966. Spain will be looking to reclaim their crown as the world’s best team. France will be looking to end two decades of misery. Belgium, Croatia, Sweden, Denmark, Poland, Switzerland, Serbia, and Ronaldo‘s Portugal off the back of their 2016 European success will be want to prove that they belong among Europe’s elite. Panama, Mexico, and Costa Rica will be out to show that they truly belong on the world stage. And Russia, oh Russia. Russia will be playing under the watchful eye of the world, the heavy gaze of a certain president whose eyes never seem very far away, and under the weight of expectation of a home crowd that will be expectant of some level of Russian success. The four year wait is over for football fans, and the world’s only truly global sport’s grand exhibition is here as over 3 billion people worldwide will turn their attention to Russia and await for the drama to unfold. For New Zealand viewers, all games are live on Sky Sport. Explore the ways to watch. Some live matches will be free-to-air on PRIME.Check the list of free-to-air matches at the bottom of the page. PS We have an eSports tournament on in July, and one of the games being played is a FIFA one.